What’s your idea of a dream holiday? Do you like relaxing on the beach, exploring a historical city maybe, or do you enjoy the spirit of adventure? 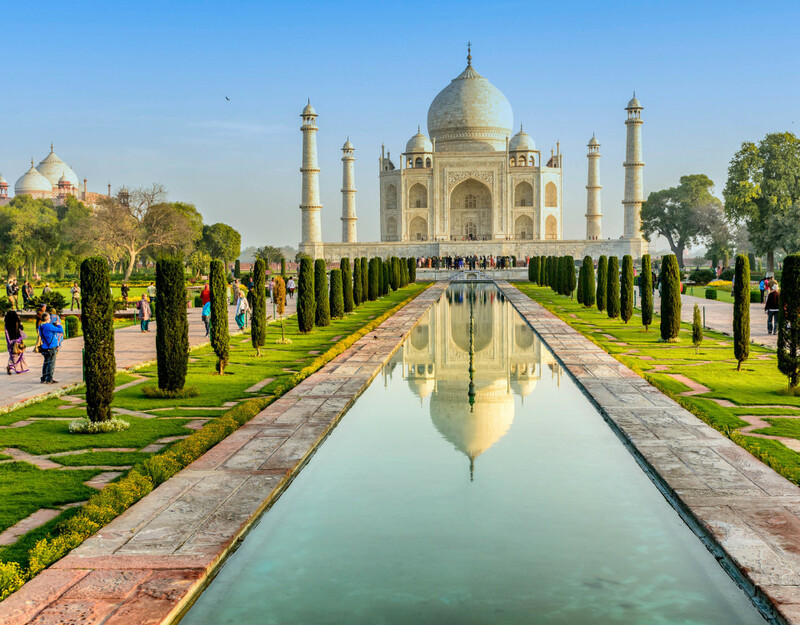 Adventure getaways are the latest trend and if you’re experimenting with your idea of a holiday, whether you’re travelling with your partner or a group of friends, an adventure trip is a great idea. 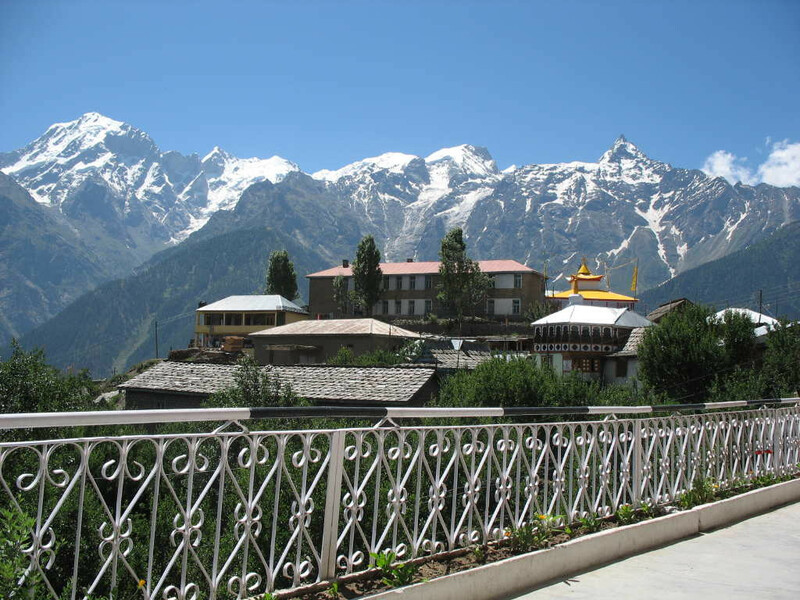 Manali is an adventure-seeker’s and nature-lover’s delight. 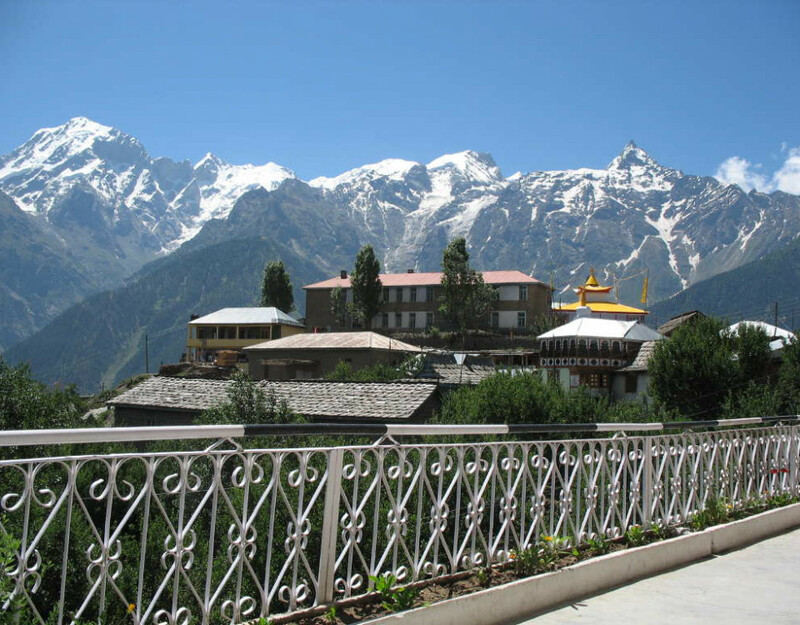 Manali offers gorgeous hiking trails through pine forests, apple orchards on the way and the incredible view of the Himalayas. You can trek up to Rohtang Pass or even go paragliding in Solang Valley. The holy city of Rishikesh is also a magnet for adventure junkies. 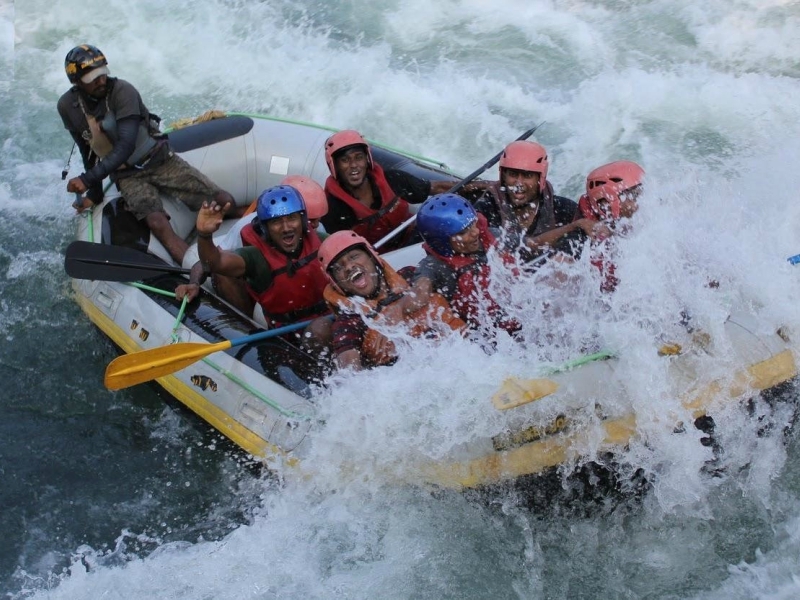 Just 260 kilometres from Auli, Rishikesh offers white water rafting on the rapids of the Ganga, bungee jumping, 1-kilometre long zip-lining, cliff-jumping, trekking and many more whacky adventures. Want to hear the roar of the Royal Bengal Tiger? 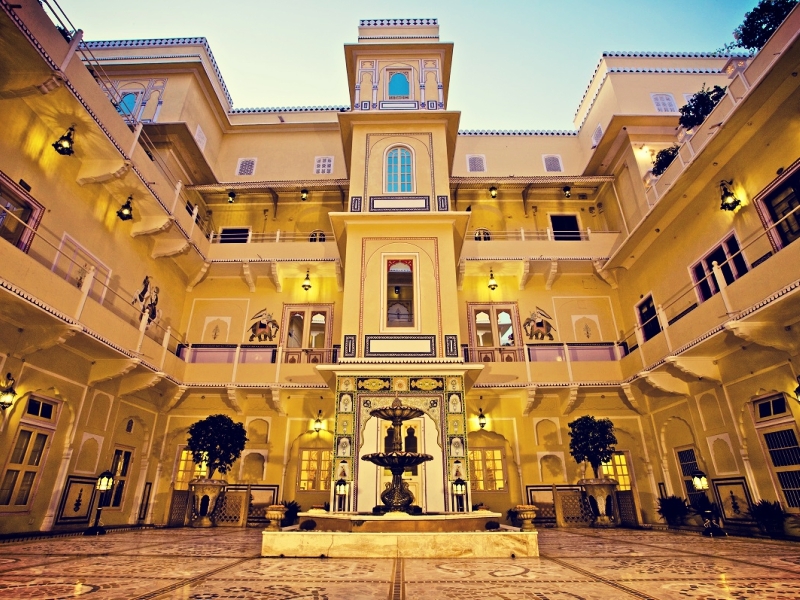 Head to ‘the heart of India’, i.e. Madhya Pradesh. 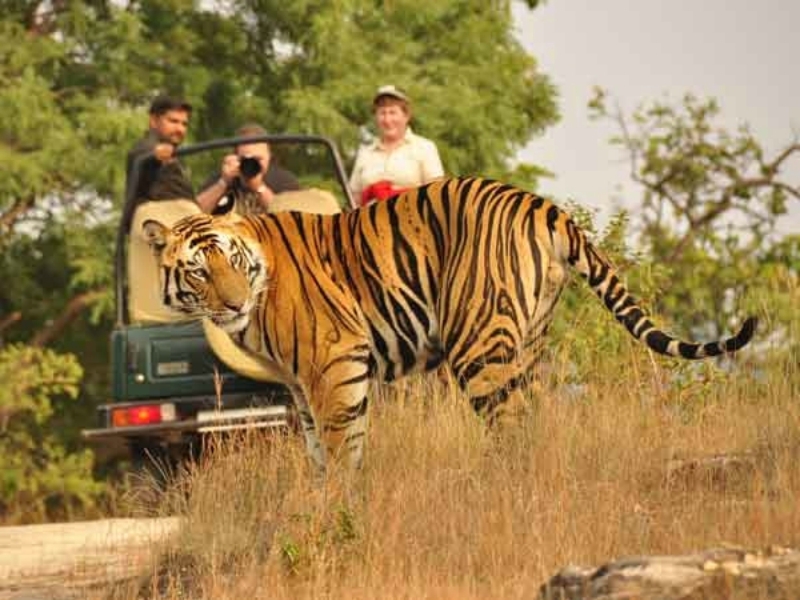 Of its many national parks, Bandhavgarh offers the most thrilling wildlife safari. There are high chances of spotting a tiger. This place has the highest density of its population in entire India. 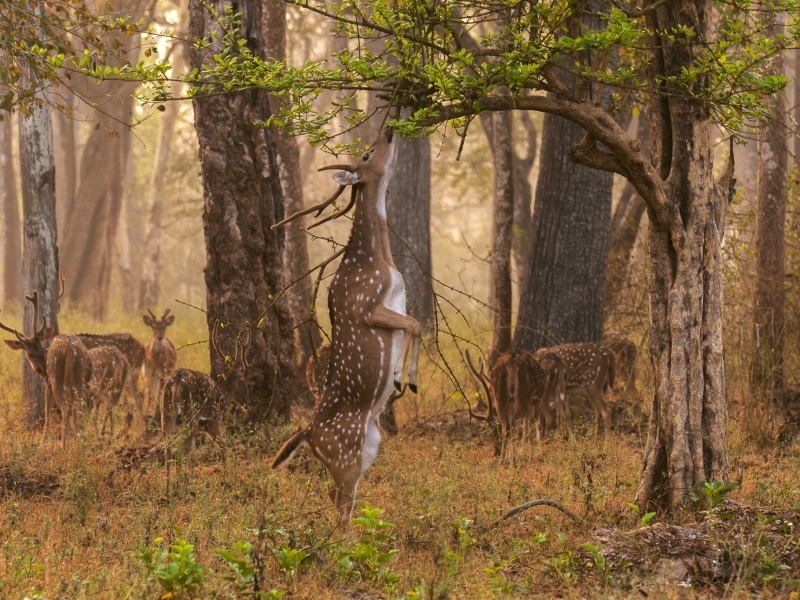 Situated in the coffee country of Coorg are the lush forests of Nagarhole National Park. You’re likely to encounter tigers, leopards, elephants and many other wild animals in this 650 square kilometer sanctuary. Imagine the thrill. 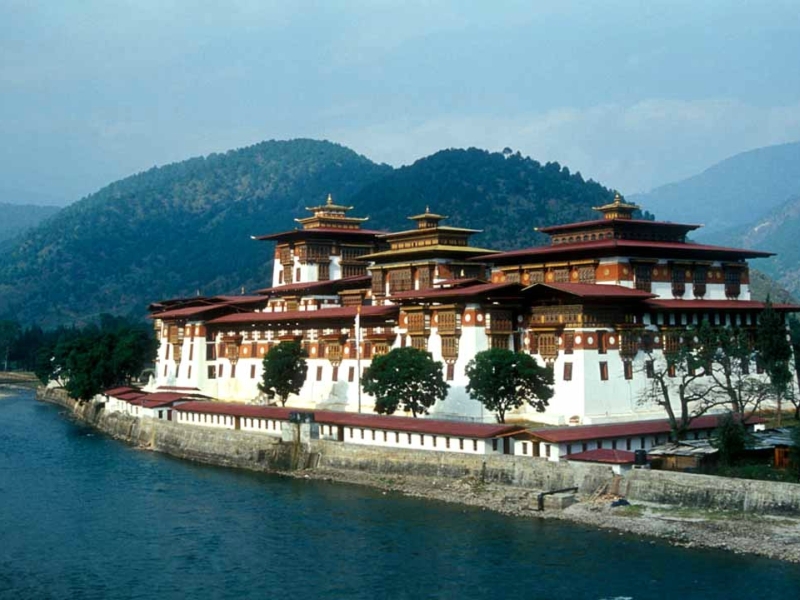 Our neighboring country Bhutan can also offer some thrilling holidays. Punakha in Bhutan has some lovely treks and quirky attractions like the fertility temple, Chimi Lhakhang. 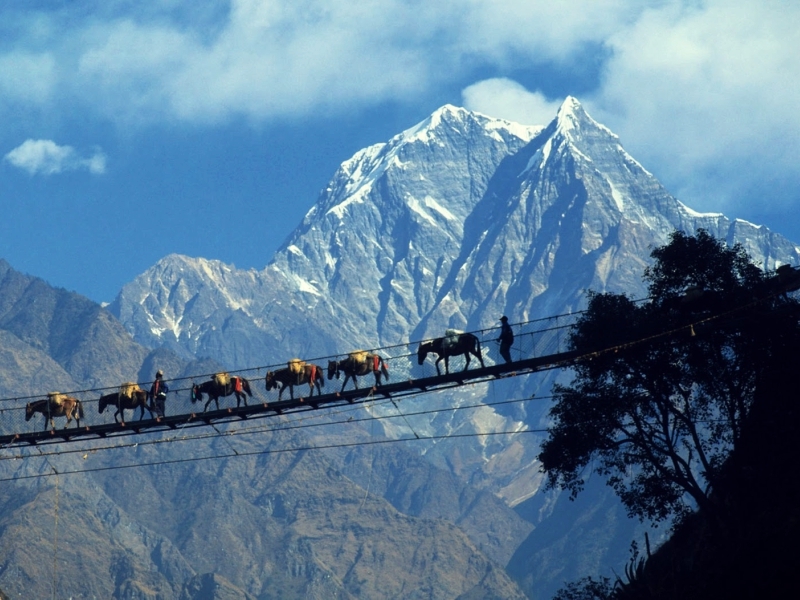 Nepal’s Pokhara offers many adventure activities. 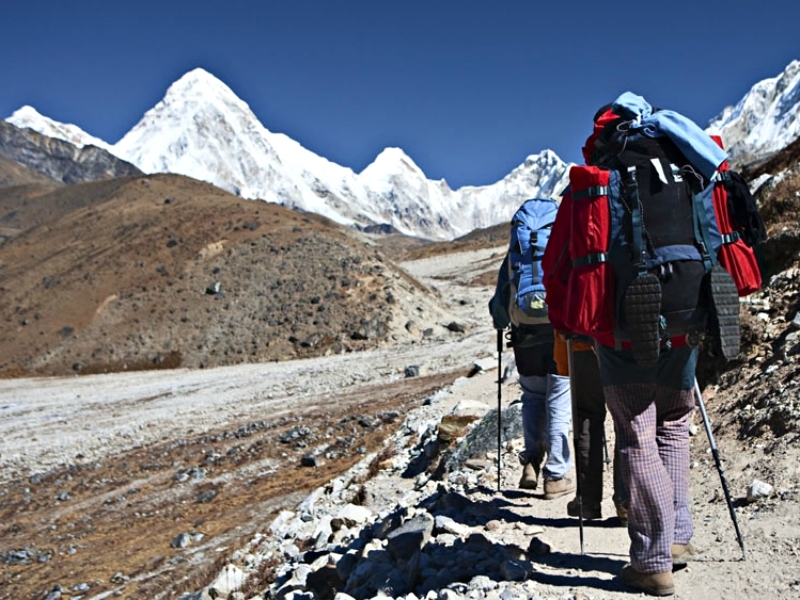 The activities range from rafting and kayaking on its many rivers to hiking the Himalayan hills. There is something for everyone. 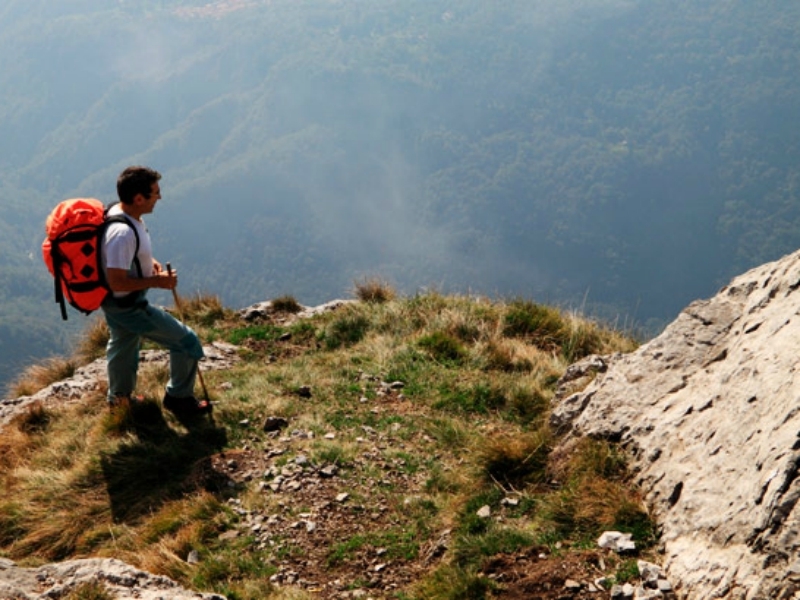 Offbeat activities include zip-lining down a sheer drop of 600 metres, exploring caves and canyoning i.e. jumping and sliding down multiple cascading waterfalls! 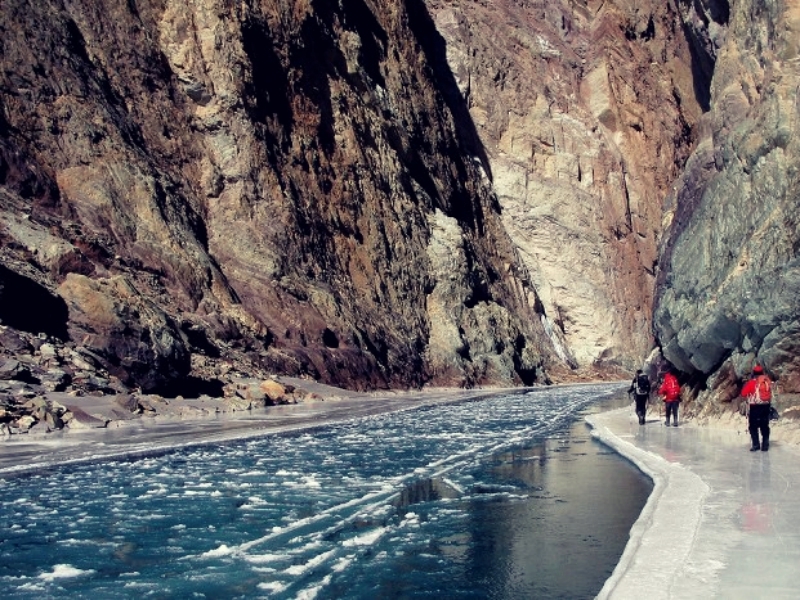 Imagine trekking on a frozen river! Every year in January and February the Zanskar river freezes. This is the Chadar trek. Walking on snow and ice is tricky. 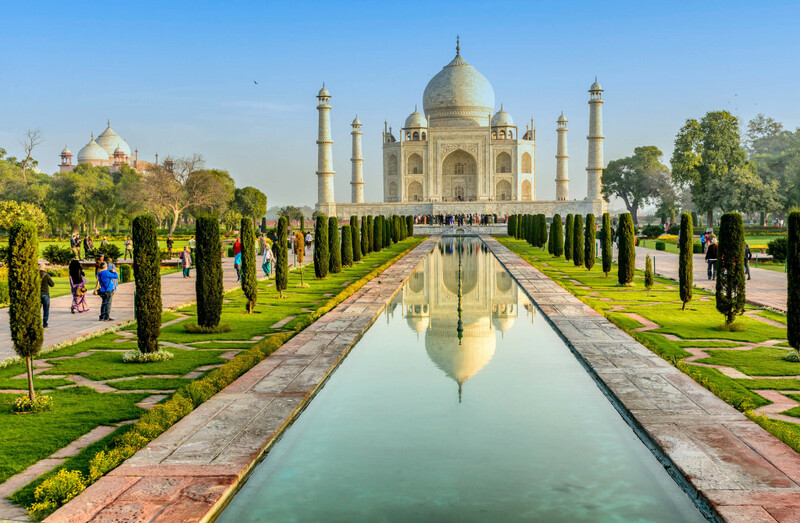 However, when you think you have the beautiful Himalayan vistas, frozen waterfalls and ancient monasteries to encounter, the risk seems worth it. If your idea of adventure is about heading into a largely untouched terrain with tiny villages, we got your pick! 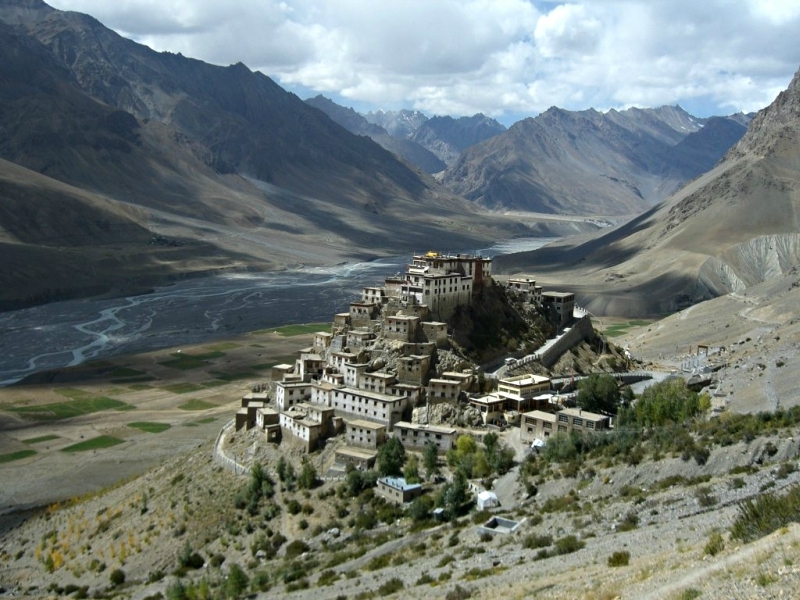 Go to the Lahaul-Spiti Valley in Himachal Pradesh. 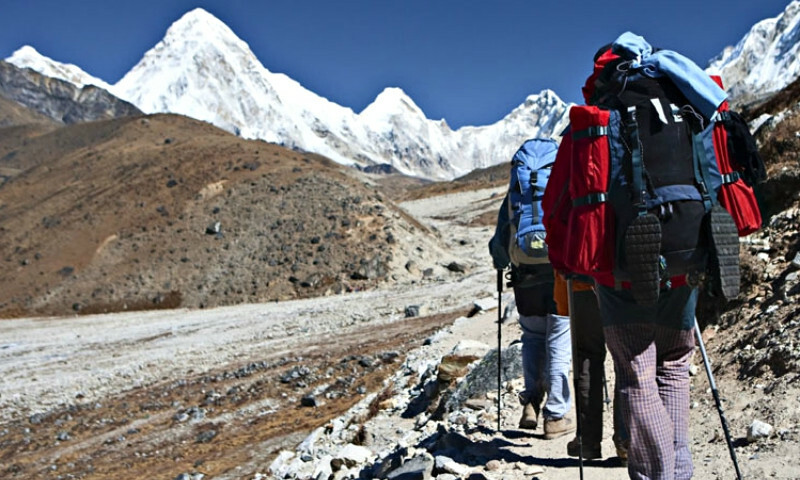 It offers excellent treks, riverside camps and ancient monasteries. Here’s where you can come face to face with the endangered Indian Rhinoceros! 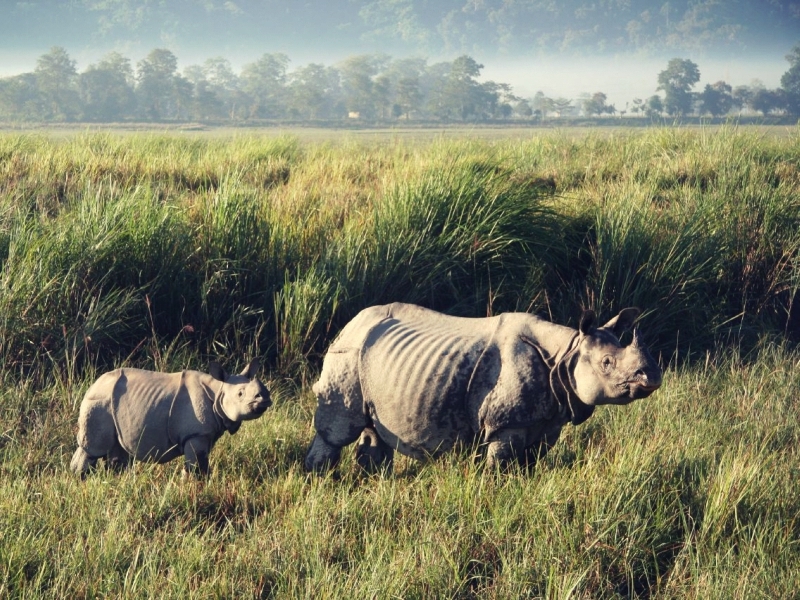 Assam’s brilliant Kaziranga National Park has over 2,000 rhinos. You can take a jeep safari or an elephant-back ride into the grasslands and spot them. Do you like your adventure holidays with skiing? 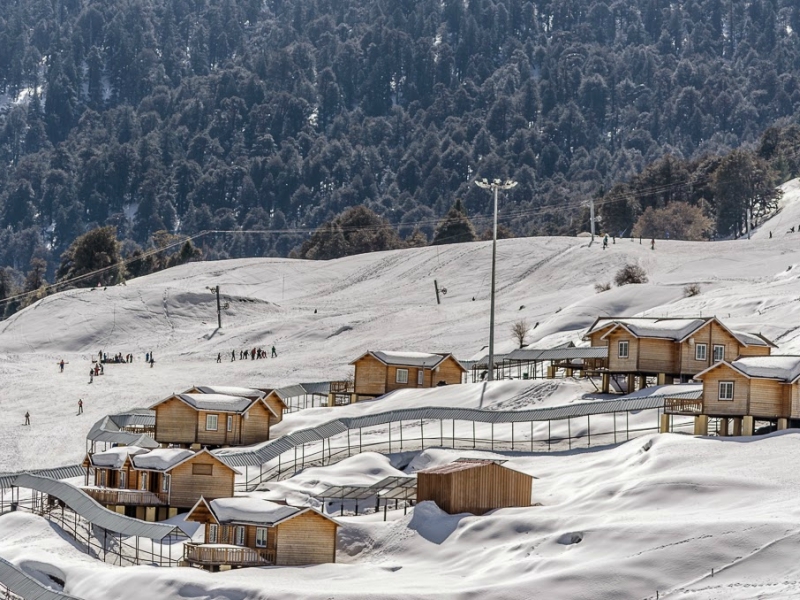 Head to Auli in Uttarakhand. Its 3 kilometers slope and 500 meter long ski lift offers excellent value for money. Ski equipment is provided and the tourist board (GMVN) offers 7-14 day skiing courses. Cool! Book your flights in advance and save money to spend it on your rest of your beautiful journey. However if you are low on budget then simply take the bus.